This will be a clash between two teams that have been suffering from a serious dip in form of late. Internazionale recorded a single triumph in their last five Serie A fixtures and are desperately in need of a victory if they plan to follow their Champions League dream. Roberto Mancini’s charges are a tough team to beat when playing on home turf. I Nerazzurri suffered their only defeat against i Blucerchiati in April 1994 at San Siro. Sampdoria, on the other hand, have been going through a rough patch recently, going seven matches without a win (D2 L4), which brought them dangerously close to the dotted line. 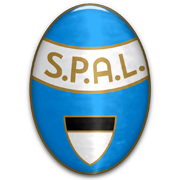 La Samp are only three points above the relegation zone and need to clean their acts in order to avoid relegation. But, given their away record this term (W1 D3 L8), we predict that Vincenzo Montella’s side will continue their negative run and record one more defeat at the hands of Inter. Andrea Ranocchia is an Italian football player born on the 16th of February 1988 in Assisi. Ranocchia started his football career playing in the youth of Perugia and Arezzo. After making his debut for the first team in 2006/2007 Ranocchia played for Genoa and Bari before Inter Milan showed their interest and transferred him to Milan as a part of a trade for Destro. Ranocchia plays for the Italian national team as well where he made his debut in November 2010. Unfortunately Ranocchia was not selected for the national team to play in the World Cup in 2014. With a length of 195cm Ranocchia is a tall strong central defender. Ranocchia is known for his tactical defensive vision. Despite his age Ranocchia played for a lot of difference football clubs, which made him, mature in his playing style. Ranocchia was part of the Bari squad that won the Serie B in 2008/2009. On the highest Italian level Ranocchia won the Coppa Italia in 2010/2011 with Inter Milan.